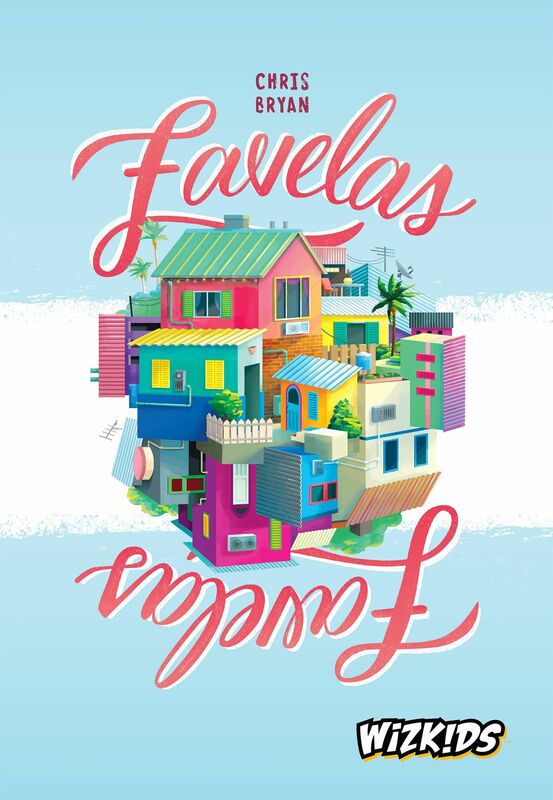 Favelas is a tile-laying game about the beautification of the iconic favelas of Rio de Janeiro! These stacked and ever-evolving neighborhoods are home to many people who stand to benefit greatly from this infusion of money, modernization, and beauty. The bad news is that the council who will approve the funding is fickle and constantly coming back with notes which alter the value of the colors that are used in this beautification. Played over three rounds, this fast-moving Euro-style game will keep people watching for the majorities their opponents are going for — and which colors are being devalued or not.